The story goes that one day, Weta Workshop founder Sir Richard Taylor obeserved a bus parked outside the studio full of people who were all taking pictures of the studio entrance. When he boarded the bus to see what all the fuss was about he realised that he was dealing with a group of die-hard Lord of the Rings fans. This was not a one-off, the busses kept coming day after day, which is why in 2008, the Weta Cave was set up - a combined mini-museum and movie memorabilia shop. The entrance to the Weta Cave. The retail space offers a wide selection of books, t-shirts, figurines and other film-related merchandise. 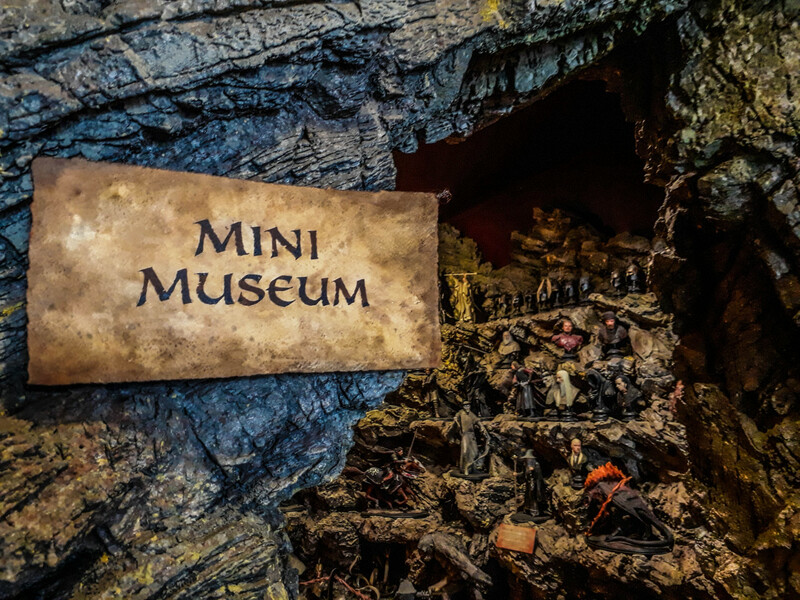 The mini museum contains a collection of miniatures and props from various movies made in Wellington, including The Lord of the Rings, The Hobbit, King Kong and District 9. 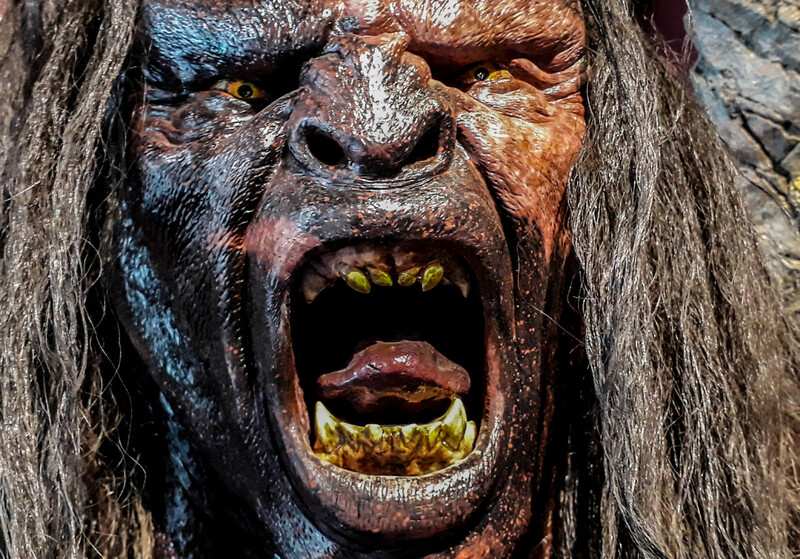 Pickpockets beware: The Weta Cave has a pretty scary watchdog (called Lurtz). This 45-minute guided tour departs from the Weta Cave and will give you some behind-the-scenes glimpses into the propmaking enterprise. 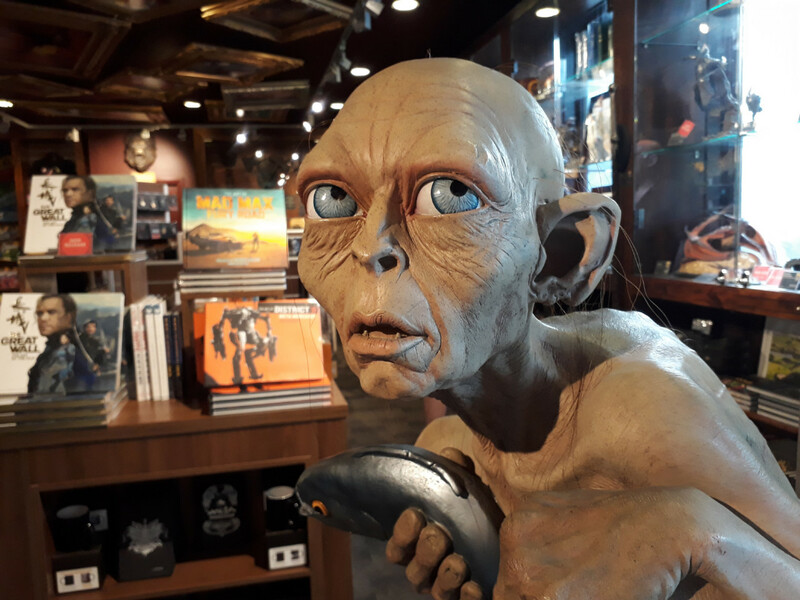 In addition, the immersive experience allows you to learn more about movie making, and to get up close and personal with weapons and costumes from The Lord of the Rings, The Hobbit, District 9, The Lion, the Witch and the Wardrobe and Avatar. One or two of the artists will also be present and showcase their skills on stage. Arzog, known as the Defiler and the Pale Orc (The Hobbit). Based on the popular 1960s animated television series Thunderbirds, this remake is produced by ITV Studios and Pukeko Pictures, the latter being co-owned by Richard Taylor and his wife Tania Rodgers. Weta Workshop was tasked with creating the miniatures and models for the show, both of which can be viewed on this 45-minute guided tour. It's a five-minute shuttle ride from the Weta Cave to the studio space (included in the tour price). 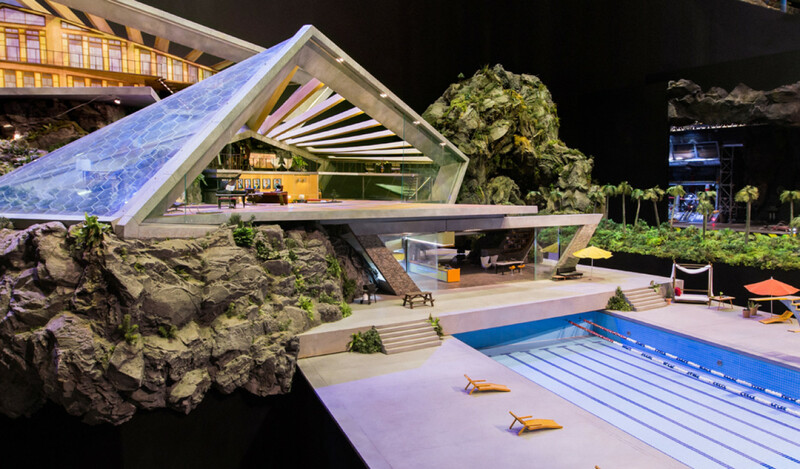 Tracy Island, the secret base of the Thunderbirds. 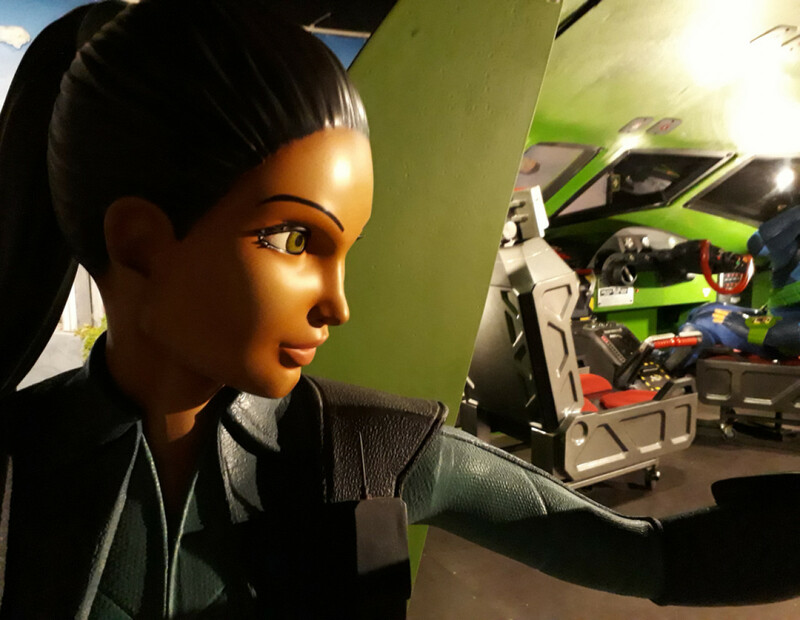 Have your photo taken with Lady Penelope Creighton-Ward, the heroine of the show, or pose in the life-size cockpit of one of the Thunderbirds. 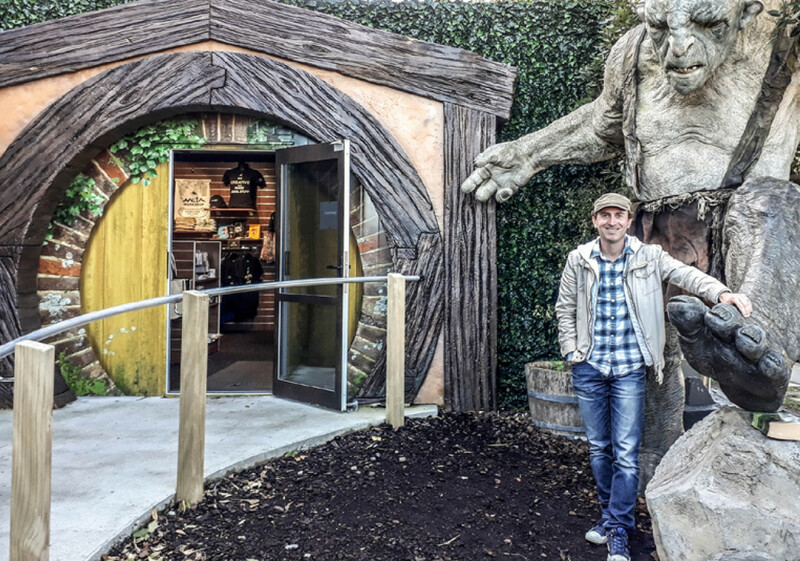 The Weta Cave is located at the corner of Weka Street and Camperdown Road, Miramar, Wellington. 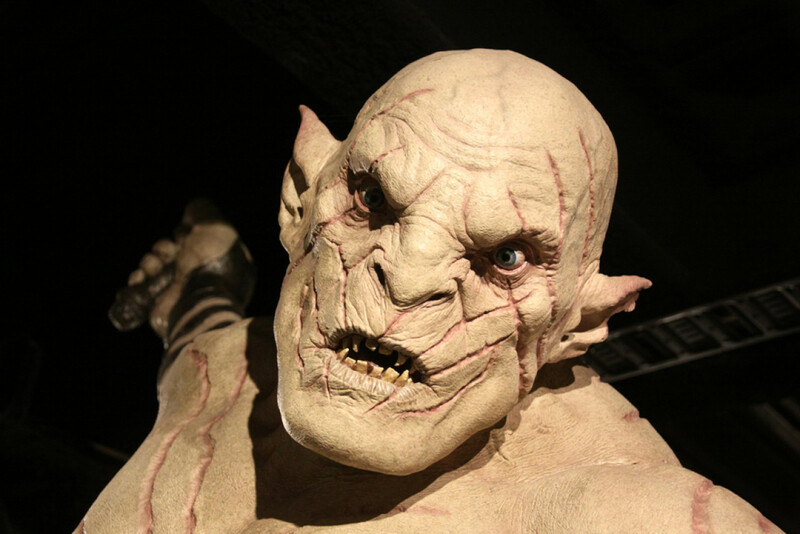 For more information about the Weta visitor experience, go to their studio tour website. Parking is difficult so allow plenty of time ahead of any booked tour, as tickets must be collected 15 minutes prior. The locals can get very annoyed with visitors blocking their private parking spaces. It's also advisable to secure tickets in advance, as tour spaces are limited and high in demand.